The 22st season of a series of junior international competitions organized by the International Skating Union! Skaters who reach the age of 13 by July 1, 2018 but have not turned 19 (singles and females of the other two disciplines) or 21 (male pair skaters and ice dancers) are eligible to compete in the JGP. The number of entries allotted to each Federation is determined by their skaters' placements at the 2018 World Junior Championships and the Federations themselves choose their representatives. Flying Camel Spin: Flying position may be different than landing position. Min. 8 revs. Layback/ Sideways Leaning or Sit Spin without change of foot. No flying entry. Min. 8 revs. Pattern Dance Requirement: Two (2) Sections of Argentine Tango, skated one after the other. Same here. I’m pretty excited. Is Alena still a junior? Ah too bad. But at least we get to see Alena in the Junior Circuit. The deadline for the entries is 20 July (Friday) so I think we'll know the assignments the week after that. For JPG Austria the entries will be out a week later probably, in the beginning of August. I can't wait to see the assignments too. It's really going to be something, this Junior season. Tbh, more than anything, I want to see where Kosto is. I have this half-fear that Anna S will get more room due to the quad but guess we have to wait. I don't know if Daniil would have posted any 4T attempts by Kosto if she had succeeded so for the moment, I'm thinking she's only bringing the 3A. I mean one never knows but better safe than destroyed hopes. Alena said something about wanting to compete with the seniors already. 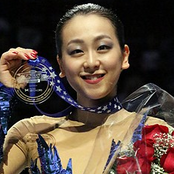 She did once at Russian Nationals, which is hardly the easiest competition, and got third place there. I think she would be well ready and a major threat next season. Both she and Alexandra have this fearless attitude that I find admirable. I also agree with you about Rika Kihira. Let her grow a bit and win some medals before having to compete with the wonderkids again. Same goes for Sofia and Daria. They now both got a senior GP spot (Daria even two), which will be harder next season. I'm also looking forward to see what Nana Araki can do. I can't wait to see the assignments!